Leones striker Fidel Martinez stole the headlines in Mexico on Saturday night heading home the only goal of the game against Pumas. After burying the ball in the back of the net early in the second half, Martinez, a 24-year-old Ecuadorian attacker, made a beeline to his bench to celebrate with his teammates. After the group hugged it out, Martinez took centre stage breaking out with a fancy footwork breakdance on the pitch. 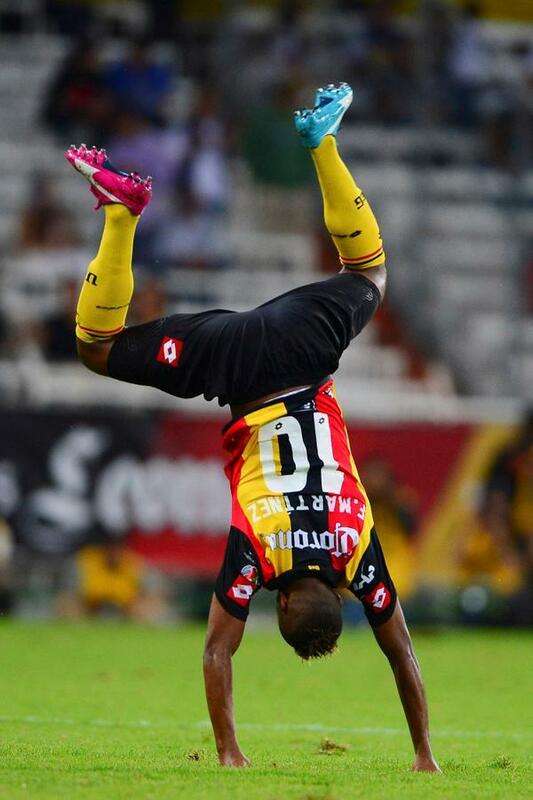 Enjoy Fidel Martinez’s goal and enthusiastic celebration above and below.